Our english speaking professionnal driver will give you attentive ,discreet and personalized service during your trip to Paris or your trip to any cities of France. Our well-presented and polite driver are on time, and get you to your destination efficiently and safely. Our chaufffeur are english speaking but you can request any other language . We always can provide a spanish,portugese and arabic drivers. For all others languages ,we will make our best to find you the right driver. 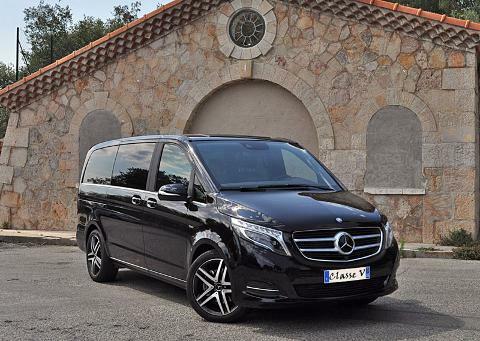 Limousine Mercedes Class S, Luxury sedan as Mercedes Class E, Peugeot 508 or Jaguar XJF , Renault or Mercedes Minivan from 3/4 to 5, Mercedes Minibus from 6/8, Minicoach Sprinter Mercedes for 9 to 19 . All our cars are leathers seats, fully air conditionned , some are equipped with micro for a guide .Ask your driver to provide you a free wi-fi connection. We also can provide a mobile hotspot wifi connection for using it during all your stay in France . If you already have your agenda , feel free to send it to us so your driver will be efficient as soon as you enter the car .